Want to be Irish? Millions of people around the world qualify for Irish citizenship by descent. Ireland is one of my favorite countries on earth, and for good reason. I first came to Dublin over seven years ago and, in the eight or nine visits since, I can honestly say I’ve never met anyone here who was difficult to talk to. The Irish have a well-earned reputation for being some of the most friendly people in the world. And when it comes to the kind of offshore strategies we talk about here, Ireland ticks a lot of boxes. It has one of the lowest corporate tax rates in Europe and is a country that simply doesn’t take itself too seriously. There’s a reason you’ve never seen an Irish Empire. Ireland is also one of the easiest places in the world to get a second citizenship if you’re lucky enough to have parents, grandparents, or — in some cases — great grandparents who were Irish citizens. 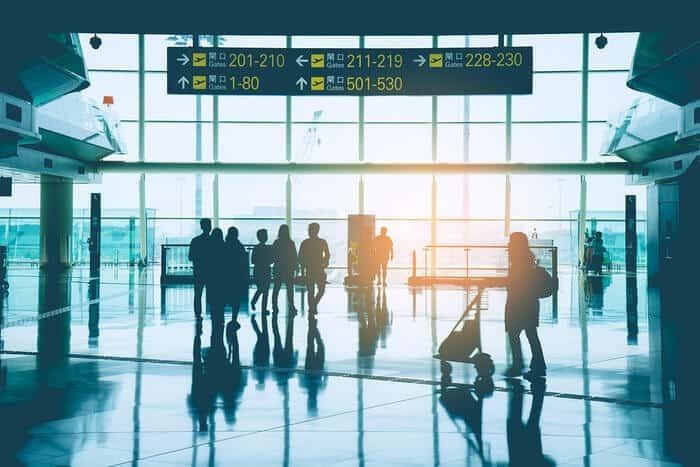 Those seeking a second passport should know they are in good company considering the population of Ireland is all of 4.5 million, yet nearly 15 million Irish passports are in circulation. The country has a very open policy of granting citizenship to those whose family tree includes ancestors from Ireland. In fact, there are 10 million non-resident passport holders taking advantage of dual citizenship from the Emerald Isle. In reality, there are millions of Americans alone who qualify for citizenship in Ireland and all of the benefits that come with it. But what exactly are the benefits? For starters, Irish citizens are also citizens of the European Union. This gives them the ability to travel, live, and work freely around the EU. Another plus is that, unlike with the US passport, Irish passport holders have no obligation to live in Ireland at all. Once you have Irish citizenship, you could live anywhere in the world or become a nomad with few or no tax issues. For example, if you don’t plan on living in Ireland, having an EU citizenship will allow you to take advantage of Europe’s zero-tax residency programs. And, of course, the Irish passport is one of the best you can get. It is ranked as the third most powerful passport in the world, offering visa-free access to 175 countries, including the United States and Canada (the most difficult ones) and freedom of movement around Europe. Not only that, but the passport is one of the lowest risk passports you can find. I mean, who doesn’t like Ireland? The country’s geographic location as an island, alone, reduces the geopolitical risks common in other EU countries. More importantly, it has the backing of the EU and is one of the friendliest countries around. Obviously, there are other ways to attain Irish citizenship beyond ancestral ties. For instance, you can qualify for citizenship by running a business. While Ireland is a pretty business-friendly place in general, you would have to live in there to qualify. For a lot of people who aren’t looking to live in Ireland for the next five years, that would be a difficult situation. That’s why the citizenship by descent option is so attractive. In the wake of Brexit, the Irish passport is bound to grow in importance as well. It could afford many UK citizens with Irish ancestry the chance to maintain their status as EU citizens. But the passport isn’t just a good deal for the British, it is a great opportunity for an EU passport for anyone who qualifies. 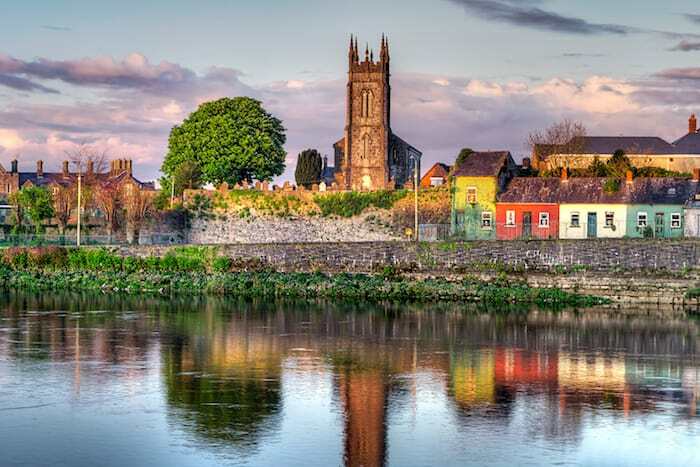 Who qualifies for Irish citizenship by descent? On the whole, Ireland’s citizenship program is straightforward. In fact, I’d say it’s the only citizenship by descent program that is. Italy’s program is pretty straightforward in terms of their requirements, but there is so much bureaucracy that it makes the process more difficult. All the other programs are a mess and involve loads of paperwork just to see if you qualify. Your were born outside of Ireland, your parents were born outside of Ireland but were registered on the Foreign Births Register before you were born, and your grandparents were born outside of Ireland to your great-grandparents who were born in Ireland. Put more simply, if each generation has Irish citizenship, it doesn’t matter that no one has lived in Ireland since your great grandparents. It’s also important to note that, if your parent obtained Irish citizenship through marriage, adoption or naturalization, but was an Irish citizen at the time of your birth, you can still obtain Irish citizenship. It also doesn’t matter if your parents were married or whether or not the ancestor connecting you to Ireland was alive at the time of your birth. You cannot claim Irish citizenship based on ancestors other than your parents or grandparents, such as cousins or aunts and uncles. Finally, if you were born in Northern Ireland after January 1, 2005 and one of your parents was an Irish or British citizen with permission to live in Ireland or Northern Ireland, then you are entitled to Irish citizenship. As someone who believes time is money, I would prefer to hire someone at minimal cost to help me get any citizenship by descent considering the amount of bureaucracy and waiting involved. If you’d like help getting your Irish passport, let me know here. If you want to cheap it out, there are a few basic steps you should follow. Most importantly, before you can claim Irish citizenship you must register your birth in the Foreign Births Register. To do so, follow the “How to Register a Foreign Birth” guide found here. The guide will walk you through the different birth and marriage certificates you will need, as well as other relevant records that confirm your citizenship. When that is done, fill out the application form online, print it out and mail it in along with your documents, photos and fee. You can find a list of Irish embassies abroad where you can mail your application here1. Once your citizenship is granted, you will receive a certificate confirming your registration in the Irish Register of Foreign Births. Your citizenship will be effective from the date of registration and you can then pass down Irish citizenship to the next generation. Your citizenship does not automatically come with an Irish passport, although it does qualify you for one. To obtain your passport, you must take a few additional steps. You cannot apply for a passport, nor download the application, online. Instead, if you are in Ireland, you can apply through Passport Express or in person at a Passport Office. If your are abroad, you can apply through the post with your nearest Irish embassy or consulate. If you were born abroad to an Irish-born parent, you should include your birth certificate, your civil marriage or partnership certificate, your Irish-born parent’s birth certificate, and your parents’ civil marriage certificate. 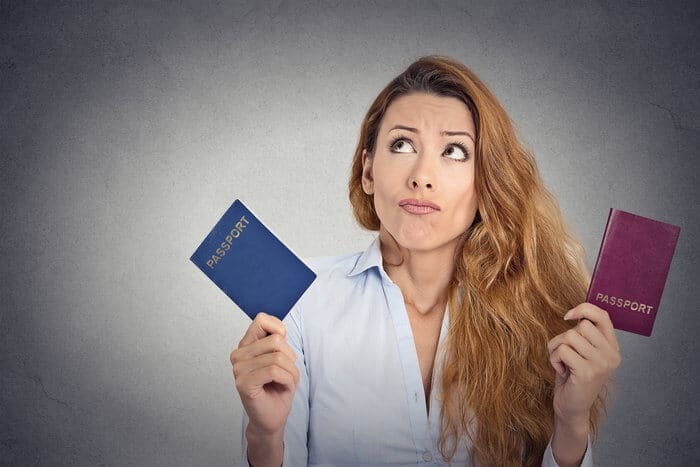 If you obtained citizenship through the foreign birth registration, you should include the previously mentioned birth registration certificate, your birth certificate, your civil marriage or partnership certificate and your passport. A standard 10-year, 32-page passport will cost you €80, while the larger 66-page passport will cost €110. For full instructions, see the Irish government’s passport application and renewal page, here. If you qualify, obtaining Irish citizenship by descent is an amazing opportunity. Anyone has the option to pay large sums to buy an economic citizenship or get residence somewhere and camp out until they are naturalized. However, both will take considerable amounts of your time or money. If you are lucky enough to have ancestors from Ireland, it’s worth the relatively small amount of time and money required to obtain a second citizenship all thanks to your ancestry. Great article Andrew. Looking forward to a similar one on Italy. ???? Are these ancestor programs a service you would offer? If you become an Irish citizen through your grandparents are there any special restrictions on moving to another country in the EU to live and work. That is, where if the person had been born in Ireland there would be no such restrictions. Both my husbands parents were born in Eire and he would like to obtain an Irish passport. He doesn’t have any information other than where they lived before they emigrated to England. Is it possible as requested in the above e-mail that we could pay someone to do all the legwork for a fee. I am trying hard to get EU permanent residence or citizenship. I have lived in Poland for almost 3 years. It hasn’t been easy… I think all my ancestors are too far back to count for any of these countries. Very interested in confirming my irish by decent status. Unfortunately The last Irish-born member of our family is my Great-great grandmother ‘Mary O’Callaghan born in Tipperary, Ireland. My grand-father and father have passed away already. Is it possible to register the births and deaths of my father or grand-father? How might I overcome this hiccup in my families lack of foresight? I have a similar question. My great grandfather was born in Magherafelt and moved to Glasgow where he had his son (my grandfather). How do I find out if he put his son on the Foreign Births Register? So as I read it, I would not be eligible as my great-grandparent was an Irish citizen, but my Grandmother was born in the US, and my Mother did not register her birth in the foreign birth registry before I was born. My mother would still be eligible though right now, as her direct grandparent was an Irish citizen. If she were to gain Irish citizenship, does that give me any chance at gaining Irish citizenship, or is it all dependent on my Mother having citizenship at the time of my birth? I have the same question. My mother did register and has an Irish passport now because her grandmother was born in Ireland. She did this after my birth. Is it still possible for me to get an Irish passport seeing that my mother has not registered? How important is the timing? My grandfather was Irish but never registered my mum’s birth in Ireland (she’s a British citizen). Obviously, my mum never registered my birth as an Irish Citizen and I didn’t register my children’s births either but we’d all like to claim our Irish Citizenship. If my mum registers her birth now would my children be able to claim Irish citizenship? My understanding is that this would have needed to be done prior to my birth or my children’s birth but is there any way around this? None of us knew we could claim Irish Citizenship until recently when my son decided he’d like to go to university in Ireland and the information about citizenship popped up in the search engines. PS. I tried clicking on the link above for the lawyer but it takes me to a page to sign up where I could be 1 of 5 out of 1000s that you help. Is there a direct link or contact information for the lawyer please? My father and grandparents are Irish. I was born in uk. I never met them although I have pictures from his family members. His name isn’t on my birth certificate. He died almost 10 years ago.how do I go about this process. How does one obtain grandparents birth certificates or Identification Documents if they have died and your father has died. I have no documentation. Is there a place in Ireland that can help? This would be for myself, and my husbands needs, grandparents on both sides were of Irish lineage and we would like to know if they were born in Ireland. Please help. Hi Penny. I am going through the process myself just now. Two of my grandparent where Irish born in Armagh. I phoned Belfast. You will need to get your grandparents Long for civil birth Certificates plus photocopyand Original Civil marriage certificate plus photocopy. The number for Belfast is 0300 200 7890. Hope this helps you. Can my daughter get the Irish citizenship and passport through her father who became an Irish citizen by naturalization after her birth? She is 17 now and was born in Saudi Arabia. She has never been to Ireland as her father and I are divorced and she has been living with me ever since. I hope it’s not too complicated! Why did Ireland say I don’t qualify for citizenship, though my great gran was born in Ireland, her children in UK (no they were not registered as it was not required at the time 1930s) Am I missing something? I’m US born, thanks! All eight of my great-grandparents were born in Ireland and migrated to Australia. Would there be any chance of me (by sheer weight of numbers) obtaining Irish citizenship on that basis? My Grandparents migrated from Co. Galway, Ireland to the US. As I understand it , I have to send “original ” and photocopies of their birth certificates, etc.. How do I get the originals back? My mother was born in Los Angeles by an Irish woman, but was given up for adoption. I would like to claim Irish citizenship, but the adoption was closed. I’m thinking it might be hard to find paperwork on her birth mother. How much proof do I have to show? Do I need a name, or just proof that her birth mother was an Irish citizen? Hello Lacey! Since it’s such a unique situation, the best thing for you to do is check with the Irish Embassy the best course of action. Usually, you need substantial evidence that your ancestors are coming from a certain country to get citizenship by descent, but the safest thing to do is talk with the embassy, they will have all in-depth information needed. Good luck with your research. My mother was born in Ireland and moved to US and renounced her Irish citizenship to become a us citizen. Do I need to go through my grandparents or can I use my mother. Hello Cathy, chances are you will need to prove your grandparents’ Irish citizenship to be able to claim your right to an Irish passport. As always though, we strongly suggest you talking with the embassy to doublecheck what needs to be done. That way you’ll know exactly what the requirements are and what your plan of action should be. Good luck! please could you advise me; my grandfather was born in Belfast (i have a copy of his original birth certificate), his brother was born on the ship to South Africa. my mom was born in South Africa, but on her birth certificate (as well as the vault copy) says her father, my grandfather was born in Cape Town South Africa. i can get copies of my grandfathers brother being born on the ship (and he and his family have been given citizenship) – as well as copies of their parents marraige in Ireland. Hi Im born South African as well as my parents and grand parents. Great grand patents were Irish born. Do i qualify to get Irish passport and citizenship and how do I go about it from South African side – what documents do I need to produce. I have a strange situation that maybe just disqualifies me or maybe not, so I want to ask if anyone has advise for me, is there any hope for me of citizenship by descent? My grandfather was born in South Africa (his mother was pregnant with him when they moved from Ireland). My grandfather must have gotten his citizenship automatically from being born to Irish citizens. My mother only acquired citizenship through descent after I was born about 6 years ago. She has lived in the UK since then and not in Ireland. Will I be able to get Irish citizenship now? Is there any loophole or any advantage to my Mom now being an Irish citizen as well as my late Irish grandfather? I would appreciate any advice anyone has to offer about my situation. I am trying to go work there now so that I can be close to my Mom. Im starting the process of applying to register my birth with the foreign birth register. My grandfather was born and raised in Ireland before marrying my grandmother in England. Ive been trying to get more info about an obstacle I have for one of the documents required for the registration, The website states that a copy of my fathers photo Id is required but I lost contact with my father a few years back and won’t be able to get a copy of this document. Can you advise if there is any way around this document as I have no problems getting the rest. I really appreciate any help and advice you can offer. Thank you for your time. Just doing an enquiry to find out if my great grand father was born to Irish Parents and they relocated from Ireland to Middlesex if there a chance that I could qualify for an Ancestral Visa? My great grand father came to South Africa as a British soldier? I’m interested in obtaining dual citizenship and qualify through my Irish-born grandfather. I’m almost ready to submit my application but came across this warning on the USA State Dept website (see above). There are conflicting things there, and under the “advice” tab, it says that applying for nationality in another country could mean you’re forced to give up your USA nationality/citizenship! I hope I’m reading that wrong, but it is concerning and I wondered if you or anyone know anything about that possibility. I don’t want to lose my USA citizenship. Thx! Is there a company that will research the facts , fill in the forms and set up the required application on my behalf to obtain an Irish passport from The republic of Ireland for a fee? We offer this service, but if your only goal is obtaining Irish citizenship by descent without accompanying tax planning or other services, it probably wouldn’t be worth the cost. More details at http://www.nomadcapitalist.com/apply/. Hello Andrew, I am a descendent of an Irish citizen (my great grandfather on my fathers side)he was born in Meath, Ireland in 1823 and Imigrated to USA in the early 1850s. Am I eligible to apply for Irish citizenship? Thank you for your excellent information and comments. My husband would like to apply for Irish citizenship. His grandmother Mary was born in Ireland, married and had 3 children, then her husband died. She went to the US and had twins (from whom my husband descends) with Anthony, whom she later referred to as her ex husband (she is listed as his widow in his obituary, but they never lived together in anyone’s memory). In searching, however, I can find neither marriage nor divorce certificates for Mary and Anthony and must conclude they were never married. With no marriage certificate for his great grandmother, can my husband still obtain Irish citizenship? Am I clutching at straws. Great Grandfather born in Kilkenny 23-10 1867. Is this too far away relationship wise to get Irish Citizenship by descent? I was adopted by British parents who have no claim to an Irish pastport. My biological Grandfather is from Northern Ireland, even though I am adopted could I still claim An Irish passport?